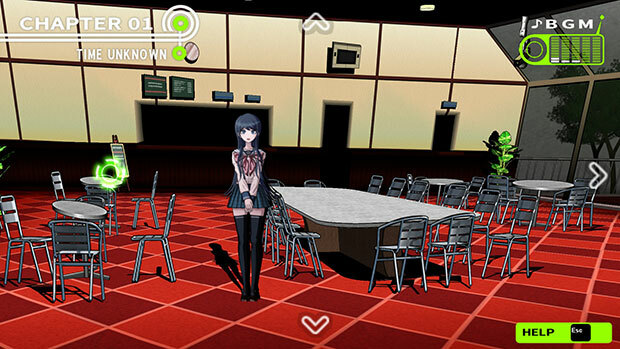 Nearly two years after blowing Vita owners’ minds, Danganronpa: Trigger Happy Havoc brings some despair to PC gamers on Steam. 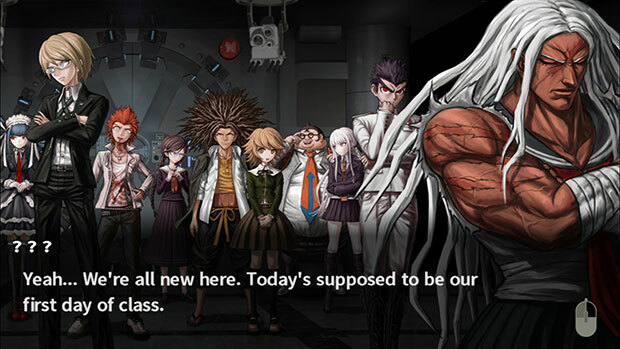 In the past few years, some big Japanese publishers like Bandai Namco and Square Enix have been putting their games on Steam, but they all pale in comparison to the experience you will get from Danganronpa. This is the third time I played through Trigger Happy Havoc and it reminded me why I enjoy these unique games in the first place. 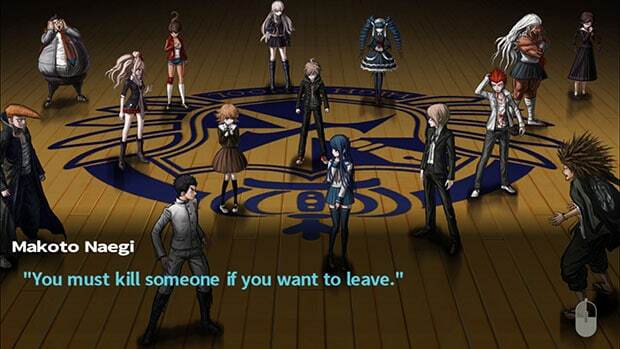 The Danganronpa games play out like a combination of the Ace Attorney games, Persona games, and Zero Escape games. You basically have school life, character interactions (Danganronpa has some of the best characters ever written), detective work, and puzzle mini-games. The main story took me just over 25 hours to complete and will depend on how fast you can read and how much extra stuff you do while getting through your time in Hope’s Peak Academy. There is no filler content here. The quality never drops and the well written characters and plot twists keep you guessing right until the end. 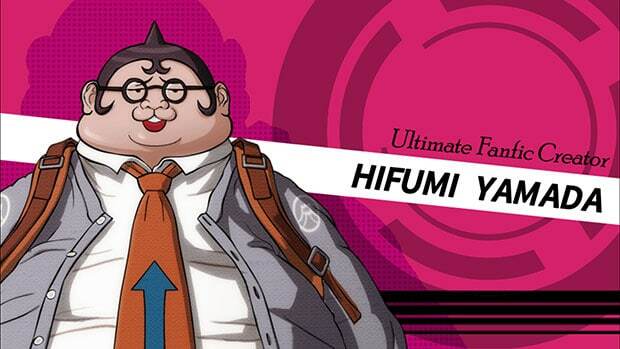 Makoto Naegi is an average student who has lucked out and finds himself with the prestigious opportunity of joining Hope’s Peak Academy, which is reserved for the best of the best and where every student is an “Ultimate” at something or the other. Leon is the Ultimate Baseball Star, while Asahina is the Ultimate Swimming Pro. There are also a few characters who don’t reveal what they are the Ultimate at. You play as Makoto and try and figure out why you were chosen to be here. Hope’s Peak isn’t your everyday academy. Early on, you get to know that everyone is trapped within the confines of the Academy and the only way to escape is to kill someone and “graduate”. This is where the real game begins. 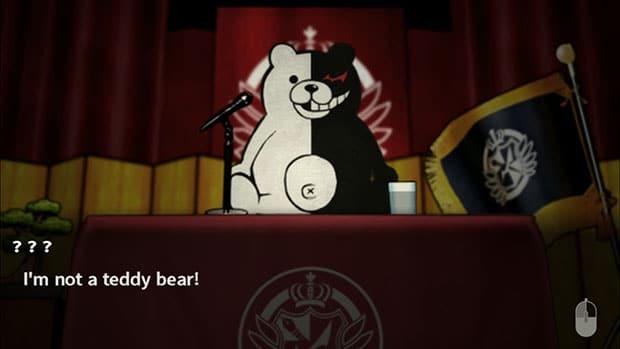 Monokuma, a remote-controlled bear who is both the best and the worst, will torment the rest of your time at Hope’s Peak through various mind games. After the prologue, the game gets into a regular pattern of spending time with your friends and learning more about them before a murder takes place. The murder is followed by an investigation (this is where the Ace Attorney nod happens) and finally a trial. Trials in Danganronpa are very different than other games. There are mini-games that involve rhythm sections, shooting “truth bullets” into contradictory statements, and more. This may sound arduous, but everything has been crafted carefully to keep you guessing until the very end where everyone has decided on the guilty party. I love the finale of the trials, where you put together different pieces of the murder in a comic book fashion. These trials end up with someone getting executed and the number of students reduces. Danganronpa will have you get attached to certain characters only to see them get executed or murdered soon after. There is some replay value because you can restart the game and spend time with a character who got murdered earlier in the game. There’s also the fact that things are never predictable thanks to the plot twists and the great writing. Visually, Danganronpa looked amazing on the Vita even though it is basically a remade PSP game. On PC, things are a bit different, with most things looking gorgeous at 1080p, but others being a bit blurry thanks to the limitations of the original artwork. More on the PC port in a bit. The character models look great and I love the diverse art style found across the different environments at Hope’s Peak Academy. Blood is indicated by pink colour and not red, which is an interesting change to keep the game’s rating lower. The audio of Danganronpa: Trigger Happy Havoc is excellent. While the English voice acting has a few hiccups in quality, you have the option to play with the original Japanese voice acting. Masafumi Takada’s soundtrack will have you humming tunes for days after you have finished this chapter in the Danganronpa story. Abstraction Games has done a really good job with most things in the PC port. It supports up to 1080p natively and lets you play in either windowed or full screen mode. The game looks best at windowed mode running the Vita resolution since some artwork has been limited by that resolution. There are AA options that support up to 16x MSAA and these effects apply to the environments. Walking through the corridors of Hope’s Peak at 60 fps and full HD is great. The game also runs at 60 fps almost all the way. Where the port does show its PSP or Vita origins is the character models. Up close, characters look a bit blurry and there are some aspects of the environment that look blurry compared to the rest. Many of the cutscenes run at sub-1080p resolutions, just like the Vita version. The images before and after each chapter are also low resolution and the save screen is also a replica of the PSP and Vita save screen for some reason. If you’ve played Valkyria Chronicles on PC, you will know what I’m talking about. On the PC, you get to play using a controller or keyboard and mouse. I played through a fair bit using both and while the keyboard and mouse controls are really good, I’d recommend playing this with a controller. I played with the Xbox One controller and found almost no issues barring the controller prompts in the dialogue boxes looking blurry and out of place. You also need to select your controller prompts on the game’s custom launcher and it does not switch prompts from keyboard and mouse to controller automatically when plugged in. Danganronpa: Trigger Happy Havoc is a near-perfect game. The PC version is let down a bit by the blurry visuals in some areas and a random bug that had the dialogue box flicker while progressing. If you don’t mind trying something unique and with lots of dialogue, Danganronpa will easily make its way to your game of the year list. It is a captivating masterclass in interactive story telling.